For Snohomish Porta Potty Rentals, there’s no one better to call than the experts in everything waste-related. Superior Septic Services has been trusted for years to deliver the best septic services around, therefore porta potties come natural to us. There are many reasons that prompt people to rent a portable toilet, sometimes for one time use at a party or maybe instead you need a porta potty that’s slightly more permanent. Say you want to offer a place for your customers to relieve themselves but you work out of a building that lacks adequate set up for a guest bathroom. Work sites are also popularly stashed with porta potties as the onsite workers desperately need them to get any work done! Parties, weddings, sporting events, out shopping, or at work, Superior Septic can help! Being in a spot that does not offer a toilet is uncomfortable and even stressful, if employees, friends, or customers dont have access to a bathroom! It’s not uncommon for people to have little to no experience with porta potties, besides using them on occasion; that’s why we are certified to provide you with worry free service, delivering the porta potty when it is needed and then whisking it away the moment you’re through with it, not leaving behind a trace of its presence—smells included! 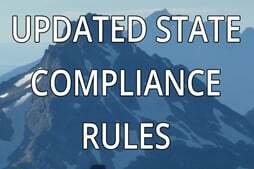 While it can be tempting to purchase a porta potty of your own, beware this will mean you are in charge of pumping the waste out, a task that takes specific and costly equipment, typically handled by a professional. 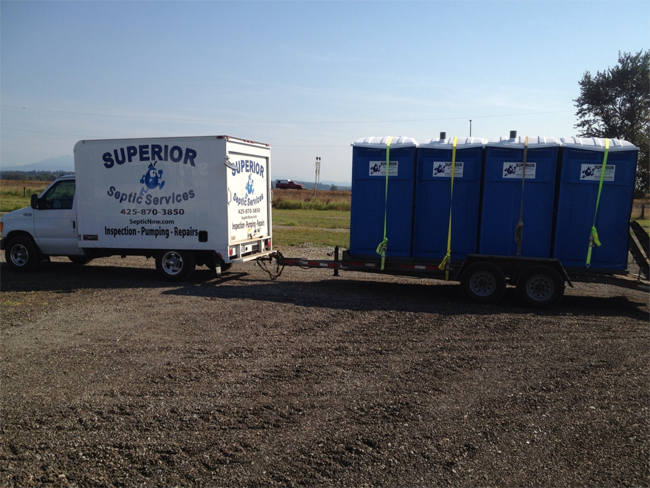 In fact, the pros at Superior Septic Services actually take care of this very service, although the cost to rent a porta potty from us is about equivalent to one pump, therefore, it’s often best to just go with the best and rent a porta potty instead of purchasing one. Snohomish Porta Potty Rentals are affordable and easy with our help. At Superior Septic Services we have all the knowledge, training, and expertise you will ever need! Contact us for all your portable toilet needs at 425-905-2485 or by clicking here.